The National Rally (Rassemblement National/RN) has been polling strongly for several months, often neck and neck with the Republic on the Move (La République en Marche!/LREM), the party of French President Emmanuel Macron. According to some recent polls, the party is expected to be in the running to win the most seats, with 23-year-old Jordan Bardella, the leading RN candidate, being dubbed the “crown prince” of the party, Swedish broadcaster SVT reports. 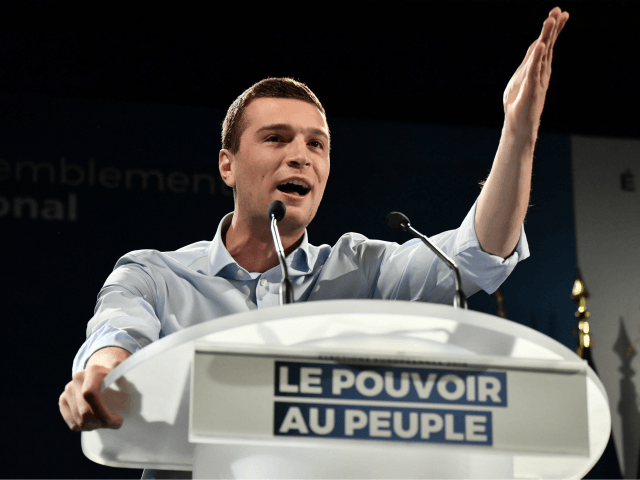 Having joined the party at the age of 16, Bardella became the leading candidate in the European elections earlier this year. Some BP slogans that you are free to use. "If you hate your grandchildren, vote Brexit Party"
"If you want Brexit to go on and on and on and on....vote Brexit Party"
"Nigel is a bit skint, vote Brexit Party"